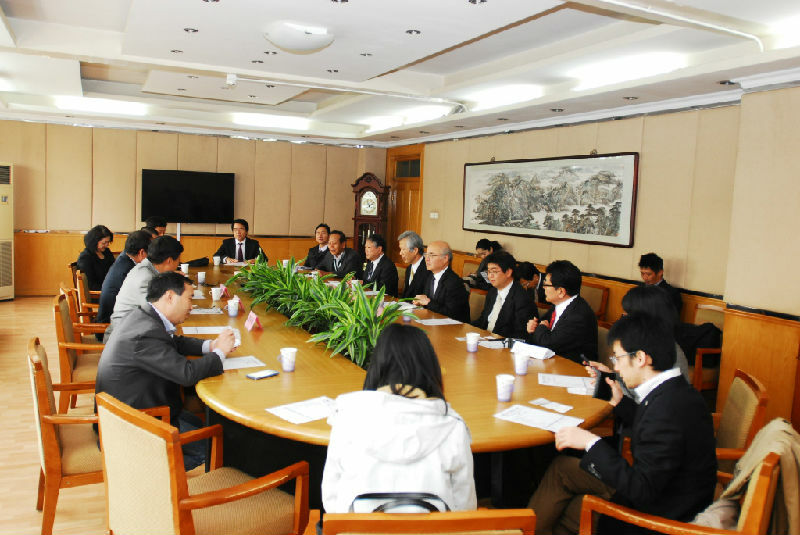 On October 31, 2013, BUPT Chairman WANG Yajie and Vice-President Yang Fangchun met with a NTT DOCOMO delegation from Japan, led by Board Chairman of IIOT, president of VRP, Maotai. 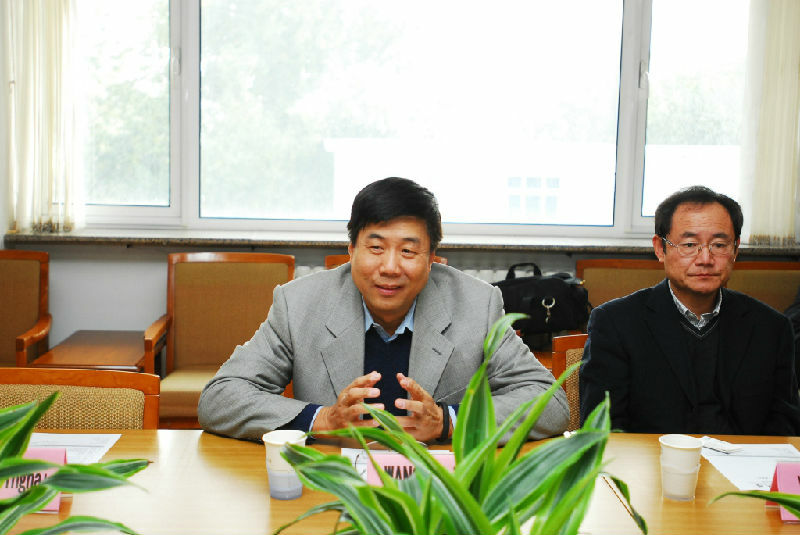 Chairman WANG warmly welcomed the delegation to visit BUPT. Then, he reviewed the more active momentum of BUPT-YRP all-round strategic partnership of coordination in the past. Vice-President Yang introduced the current stage of research development for Internet of Things, Internet of Vehicle and HEAT Networking in BUPT and also stated that the Center as a communication platform to improve the further cooperation between universities and companies in Japan and BUPT. Chairman WANG called for joint efforts to further fulfill a consensus reached between YRP·IIOT and BUPT. Mr. Maotai expressed his appreciation for all the assist and support BUPT provided to YRP·IIOT Beijing Research and Development Applications Center. He looked forward to build a research partnership with BUPT’s Institute of Science and Technology Development and establish the cooperation of scientific research and staff exchanges. 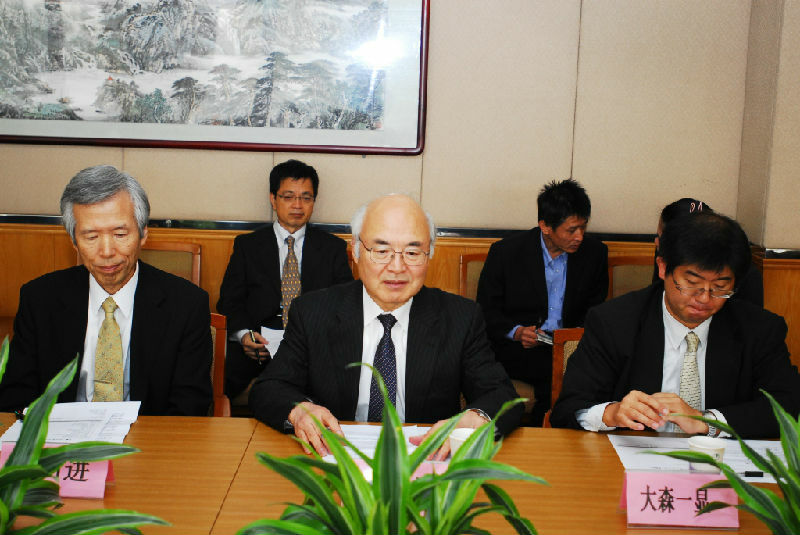 Also, Director of Academic Affair Office, ZHANG Yinghan, Director of International Office, REN Chunxia, Deputy Dean of Institute of Science and Technology Development, LIU Jie, Dean of School of Electronic Engineering, LIU Yuanan, Professor of School of Economics and Managements, Qi Jiayin, from BUPT participated in the meeting.